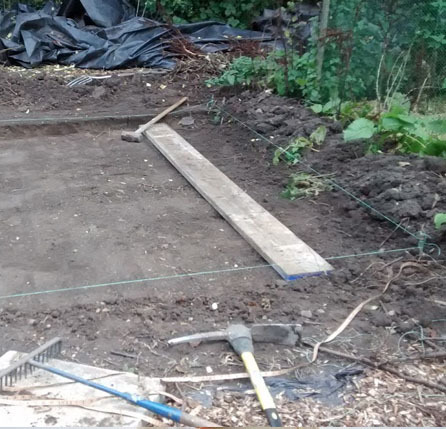 We were down at the garden today digging out and levelling the earth ready for the base of the barrel oven. Hard work digging out roots, breaking up the soil, raking it level ready to be compacted so we have a sound base for our oven. The work will be worth it in the end when we are making our own bread and pizza. You can find out more about the oven design here. 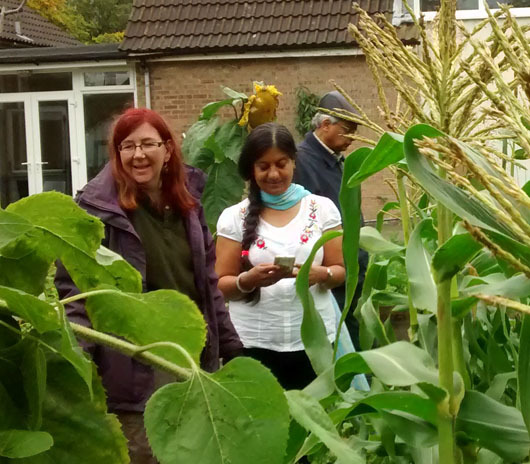 We had at a great time this Wednesday down at the community garden in Evington harvesting a whole variety of squash and a wheel barrow load of sweetcorn. 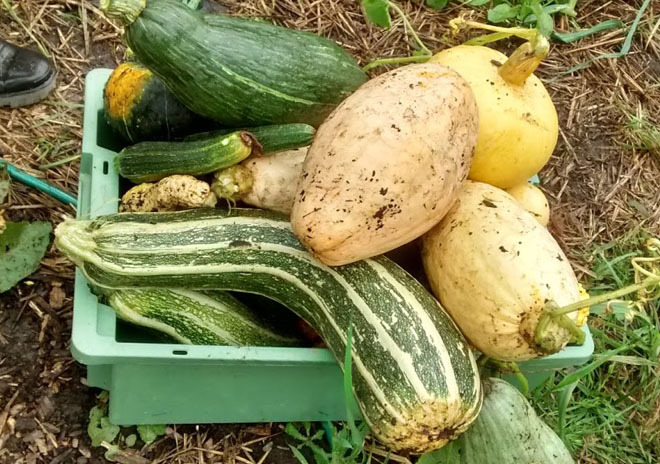 The squash are now on the racks in the poly-tunnel curing ready to be saved for the cold winter months ahead.